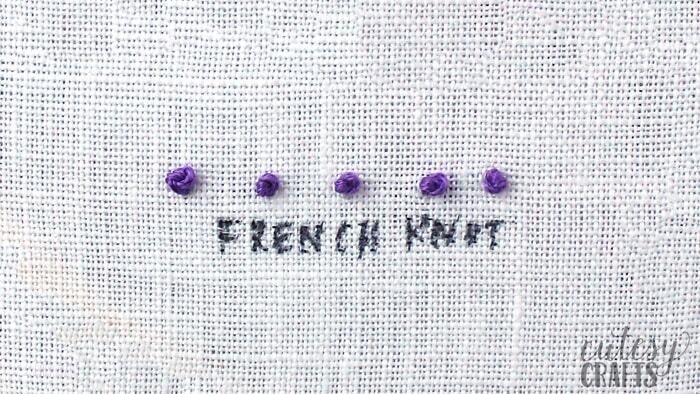 Learning how to do a French knot can definitely take a bit of practice. The French knot is one of my favorite embroidery stitches to add to a pattern, and it’s definitely worth learning. Among other things, it’s perfect for dotting i’s and centers of flowers. Try it out a few times, and you will get the hang of it! Teaching you how to do a french knot would be really difficult to do with just photos. Instead, I’ve created a video tutorial for you to follow. Make sure to practice a lot before you do this on a final project. Most stitches can be undone, but knots are a little more permanent. Watch it below or check out the video on my YouTube channel. If you are using an ad blocker, you may need to disable it to see the video. Learn all of these other embroidery stitches by making this stitch guide sampler with me. 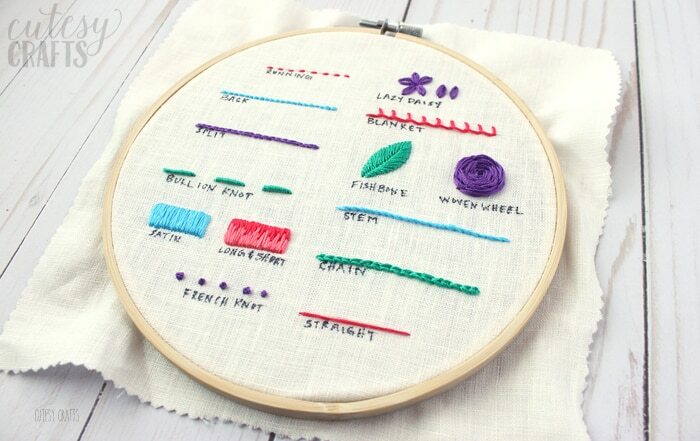 It’s a great way to practice and a nice reference to have while you are reading other embroidery patterns. To download this free pattern, enter your information in the form below or click here to subscribe to my newsletter. It’s free, and I’ll keep your email address safe. You can also unsubscribe at any time. To watch all of the videos in this series, including some basic embroidery tips, go to my YouTube channel here. I’ll walk you through the entire process and make it super easy for you.